Two Marshall, Gerstein & Borun LLP partners have been selected for inclusion in the 2nd edition of Managing IP's IP Stars – Top 250 Women in IP. Pamela L. Cox and Heather R. Kissling were chosen following extensive client case research and over 1,000 peer interviews and surveys conducted by Managing IP's editorial team. Ms. Cox and Ms. Kissling are included among only 250 leading female intellectual property attorneys from across the United States, and represent "the best of the best in their field." Pamela L. Cox, partner and chair of IP Transactions, concentrates on counseling related to intellectual property transactions, protection and transfer for clients ranging from multinational corporations to non-profit institutions. As a patent attorney who has managed intellectual property portfolios in-house, Ms. Cox understands her clients’ intellectual property and agreement needs, and remains passionately engaged until achieving their strategic objectives. Clients find her talented at unraveling complex deal structures and devising creative agreement solutions as a seamless member of their team. Ms. Cox is named by her peers as one of The Best Lawyers in America in Biotechnology Law and was named a 2014 Life Sciences Star by LMG Life Sciences. She is an “IP Star” in Managing IP's 2014 World IP Handbook and Survey. Ms. Cox is “highly recommended” for licensing and for a number of years has been named one of "The World's Leading IP Patent and Technology Licensing Lawyers" by Intellectual Asset Management. Her peers say she is a “Leading Lawyer" in Leading Lawyers Network. Ms. Cox serves as a board member for Certified Licensing Professionals, Inc. Board of Governors, is an international delegate for the Licensing Executives Society USA/Canada, chair of the Life Sciences Committee for the Licensing Executives Society International, a committee member of the Business Development Curriculum Committee for Association of University Technology Managers, and is an adjunct professor in the Master of Science Program at Northwestern University School of Law. 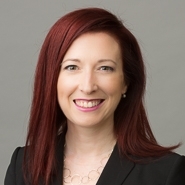 Heather R. Kissling, partner and chair of Biotechnology, “one of the best biotechnology practices in the country” as ranked by Chambers USA, draws from over fifteen years of experience securing biotechnology patents to develop worldwide filing and prosecution strategies that further her clients' business objectives. Using her advanced training in biotechnology, she actively collaborates with bench scientists, business development personnel, and in-house counsel to maximize protection of biotechnology innovations in a broad range of technologies including antibody and protein technology, gene therapy, viral vector and cell line technologies, recombinant DNA and expression systems, genetically modified plants and screening methods for anti-viral therapies. Her background in interference and opposition proceedings also benefits clients seeking advice with respect to competitor patent positions and third party challenges in the patent office. Clients find her to be a forward-thinking advocate that shares their commitment to realizing the maximum value from their intellectual property assets. 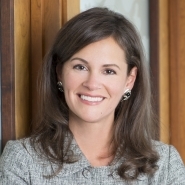 Ms. Kissling was selected for inclusion in the 2013 and 2014 Illinois Rising Stars® lists, featuring outstanding young attorneys in the state. She is actively involved in the biotechnology industry and committed to advancing women in the profession, having served on the Biotechnology Industry Organization, International Convention Programming Committee 2013, 2012, 2010, and 2006, the outreach committee for the Coalition of Women's Initiatives in Law Firms, and the Women In Bio – Chicago Chapter Advisory Board, Communications Committee and Programming Committee. Ms. Kissling also presents seminars on recent developments in case law, current trends at the U.S. Patent and Trademark Office, and building intellectual property assets.